It always puzzles me why we tend to do all or nothing. Eat only vegetables or be meat and potato fanatics. Food is so pleasurable, and every ingredient has something different to offer. Why not embrace them all? That’s why I think that while a preponderance of a variety of fresh vegetables should constitute the backbone of everyone’s diet, a little red meat now and again is not a bad idea. Choose lean and organic or hormone free, if possible. Red meat contributes high-quality protein; iron, an essential mineral in appropriate quantities; B12, which is hard to come by in completely vegetarian diets, as well as B1 and B6. 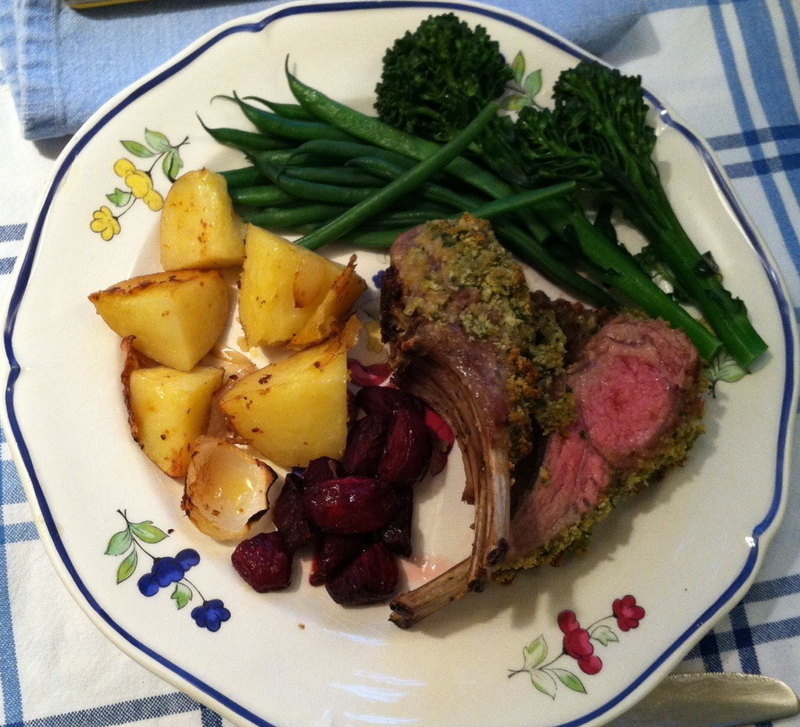 Lamb contains one quarter to one third of an adult’s daily requirement for zinc. 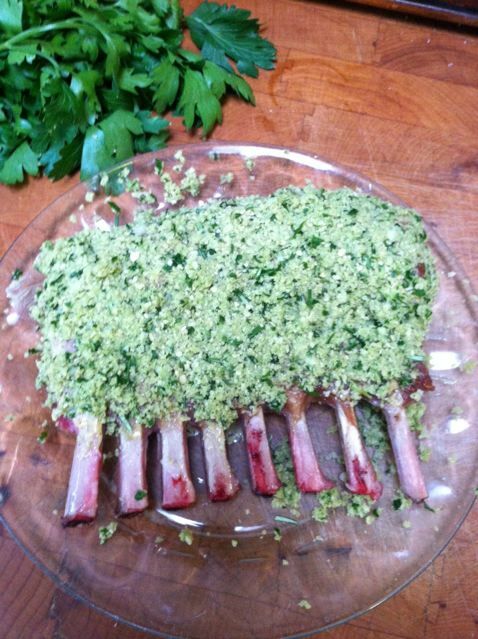 Rack of Lamb with Herbed Garlic Crust is one of my favorite dinner party dishes, because it can be completely assembled in advance. While the chops on the plate you see look hefty, they constitute at most 4 ounces of meat, albeit so flavorful and well seasoned, the satisfaction level is high. And notice, as recommended by the powers that be, three quarters of the plate are filled with vegetables. I like this recipe primarily because it is so delicious, but also because its do-ahead aspect removes as much fat as possible from the lamb and the smell from the initial browning will disappear by the time your guests arrive. For my plate, I’ve included Yukon gold potatoes roasted with onions, roasted beets, and steamed baby broccoli and asparagus. You can choose your favorite accompaniments. And look for dessert in an upcoming blog. Trim any visible solid fat from the lamb. Season all over with salt and pepper. Heat 1 tablespoon of the olive oil in a cast-iron or other heavy ovenproof skillet just large enough to hold the rack. 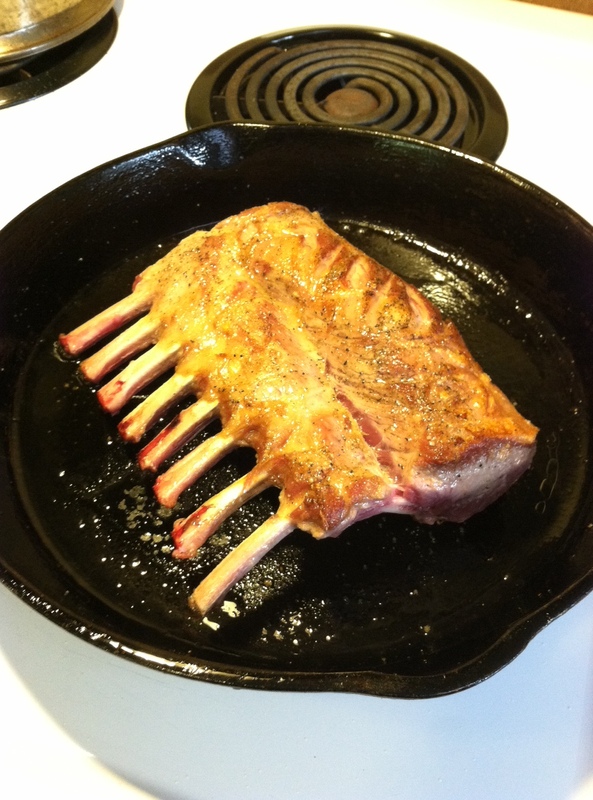 Add the rack meaty side down and brown over moderately hot heat for about 3 minutes. Turn over and brown the other side for 2 to 3 minutes. Remove the lamb to a plate. Pour off all the fat from the skillet, and carefully wipe it clean with paper towels. If you’ve done this preparation well in advance, cover the meat and refrigerate. 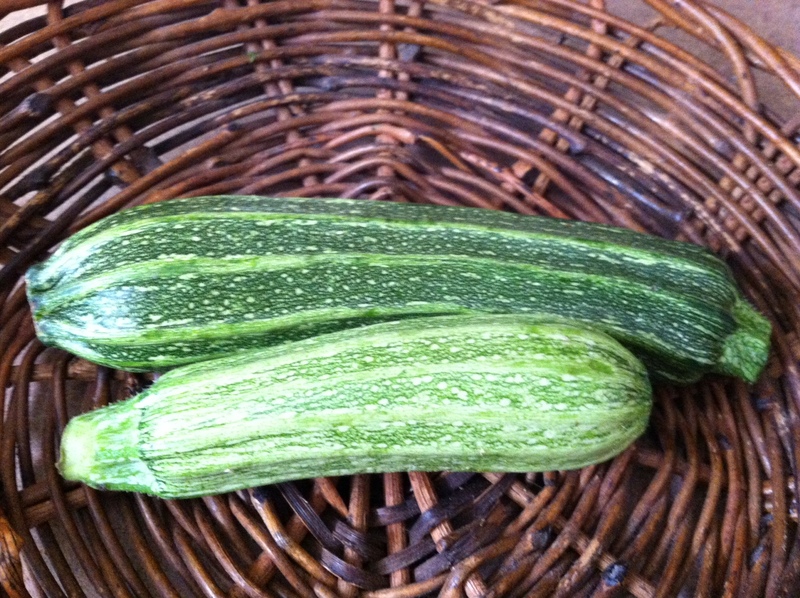 If you are within an hour and a half of serving, set aside to cool slightly. Preheat the oven to 400 degrees F. In a mini-food processor, combine the panko crumbs. parsley, rosemary, garlic, and shallot. Pulse, then process, until the parsley is chopped and the breading evenly mixed. 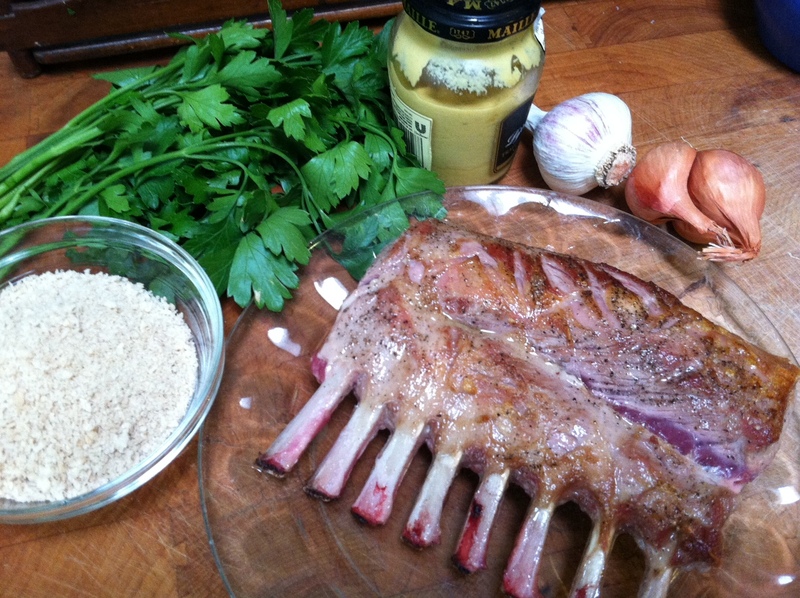 Paint the meaty side of the rack and the ends with the mustard. Spread the seasoned crumbs over the rack and onto the sides, pressing it firmly but gently with your hands to help it adhere. Return the rack to the skillet and roast until the center of the meat registers 139 degrees F for medium rare, about 15 minutes, or slightly higher if you prefer it better done. (The flavor is best if the meat is pink.) Remove from the oven and let stand for 3 to 5 minutes to finish cooking. Divide into double chops to serve. There’s nothing like personal experience to drive home a lesson. I always tell my clients physical activity is a major component of good nutrition. I even pass out free pedometers, explaining how moving skeletal muscles not only speeds up metabolism, but perhaps more importantly, facilitates transport of glucose from the bloodstream into the cells, where it’s used for energy, without any action of insulin. But do I practice what I preach? 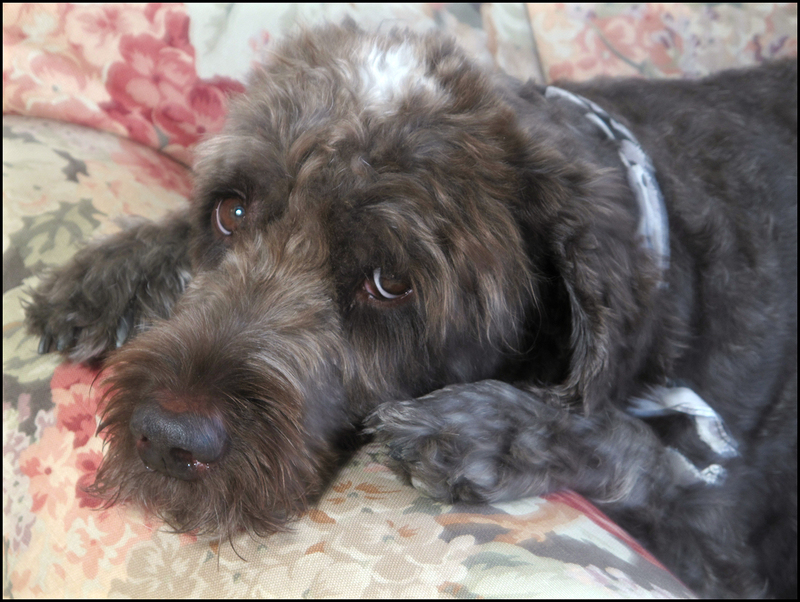 I walk my dog Zipper for up to an hour every day, but he zips only occasionally and stops and sniffs a lot. There’s no room for my treadmill where I live now, and I dropped membership in my health club when they moved farther away. My yoga mat, well used most of my adult life, remains rolled up and tucked away. I use the same excuses as all the people I’m trying to help. Too busy: the computer and stove, work and responsibilities take up all my time, as does life. So no surprise my own recent efforts to drop a few pounds hit a wall. First I gave up bread and booze, an easy first-line strategy. Dispensable calories, at least in the short run. Bingo: 3 pounds in 3 weeks—an optimal weight loss rate: slow, steady and often permanent. But then, the numbers just wouldn’t budge. Granted, it was a casual diet, and after a few weeks, I wanted a glass of wine. 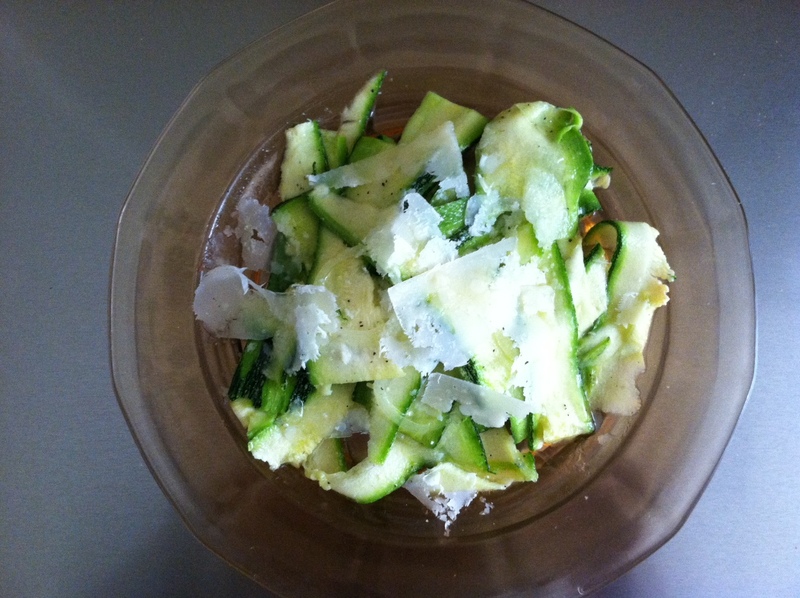 I made further changes, eating lighter, including even more vegetables than usual, creating more salads, some of which you’ll find elsewhere on this blog. The food was delightful and I felt great, but still, no more pounds came off. Then recently, with the weather absolutely perfect and a little more time on my hands, I took a long hike with my good friend graphic designer Suzin Purney. We let the dogs off their leashes and kept a brisk pace up and down hills for about an hour and a half. The next day, I picked up my tennis racket for the first time in at least a decade. Another dear friend, Mary Ann Kendall, who is a pro at the local tennis club, gave me a lesson. Miraculously, the muscle memory was there, and it started to come back. It felt great to hit the ball and run around the court. I kept up the pace for another few days. Well, at the end of the week when I stepped on the scale, there were two more pounds gone. I’d reached my goal. But it was only achievable when I added some rigorous physical activity to my dietary plan. It’s not trivial that in the biochemistry of nutrition, we study exercise physiology along with calories, carbohydrates, protein, and fats. Proper diet and physical activity go hand in hand. 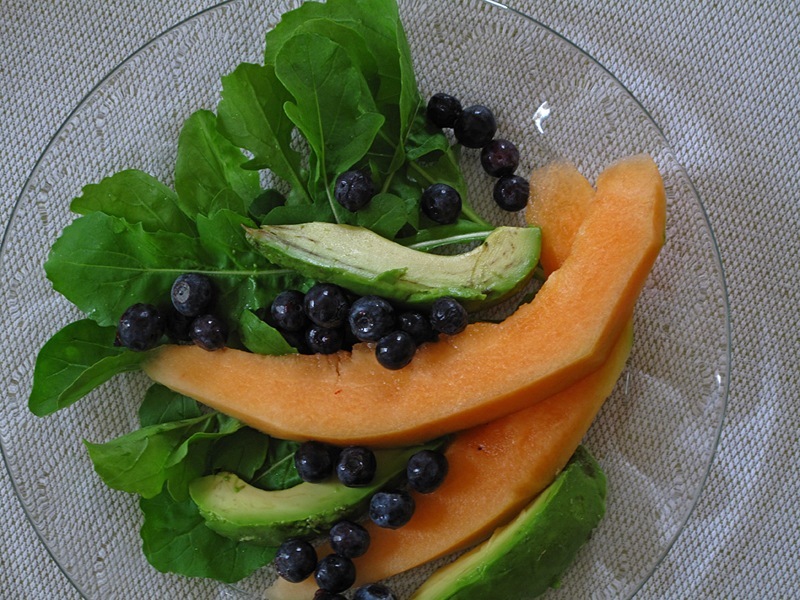 You cannot achieve optimal health with one without the other.